For such an outwardly positive and classically beautiful young woman, poor Sara Bareilles seems to have some bum luck when it comes to men. The antiheroes of Bareilles' best-known songs aren't physically abusive or compulsive cheaters; they're more just, well, losers: needy, passive-aggressive, bossy, childish, selfish, clingy, and so forth. They're a particularly bourgeois kind of soon-to-be-ex-boyfriend, dwelling most commonly in the hallways of college dorms, the coffee shops of upper middle class New York or Los Angeles neighborhoods, and television sitcom neighborhoods. So while they may not be all that dangerous or frightening, they're pesky and annoying and mostly harmless - in other words, excellent fodder for a light pop single by a young white solo female performer. 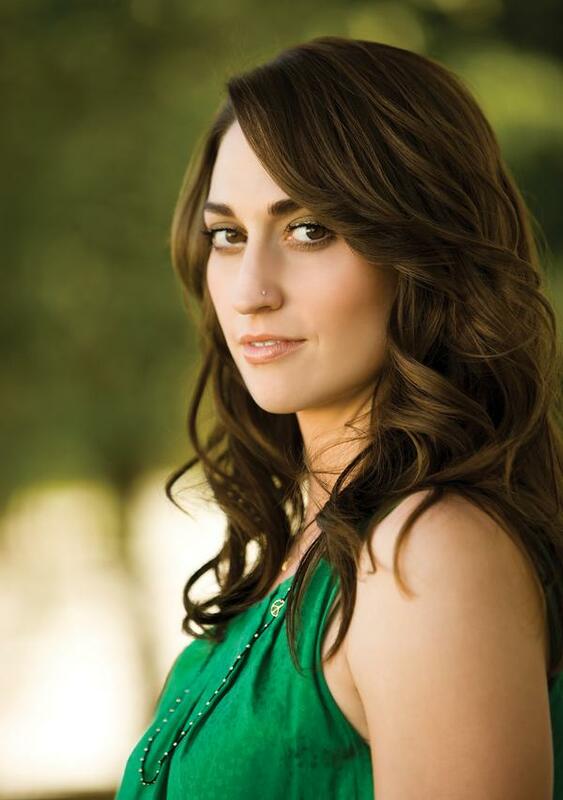 In her breakout single "Love Song," which earned a Grammy nomination last year for Best Song and topped the Billboard Pop Songs chart, the UCLA grad (and alumna of acapella group Awaken, for which she composed and with whom she originally recorded her much darker single "Gravity") delivered a deliciously clever rebuff to what it seems would be just the first loser to cross Bareilles' path: "I'm not gonna write you a love song 'cause you asked for it, 'cause you need one," she sang, and the whole thing would have been brutal were it not for the breezy, bright melody and Bareilles' upbeat delivery (this tone versus topic disparity, a highly effective technique, is also heavily prevalent in Robyn's work over the past five or six years), even if she looked stiff and moderately uncomfortable in the Shining Time Station-esque music video, as many first timers do. It was a great debut single for an artist like Bareilles that placed her solidly atop the crop of new moderate-appeal softcore female singer-songwriters that has emerged in the past couple years, such as Ingrid Michaelson and Regina Spektor. In "King Of Anything," the lead single for Bareilles' sophomore effort Kaleidoscope Heart (out September 7), the piano-playing chanteuse doesn't exactly break any new ground - but of course no one really asked her to nor would her core audience much care for too wild a stray from the comfortable path. As one might expect in a second go-around, the production is tighter and more inventive (alternating hand claps, repeated "uh-ohs" from right to left speaker and back, all perfectly mixed from the minimal opening to the fully layered final chorus). As for the subject matter, this time Sara's knight in rusty armor isn't so much needy as maddeningly self-important, the kind who spends much of the time finding (and pointing out) all the so-called "faults" of his partner so as to entirely ignore and not acknowledge his own. Sure, ending a chorus with a harsh "who DIED" (a harshness that comes more from its rhythmic placement than anything) is perhaps not the smoothest of lyrical choices, but the melody is impeccable, easily improving on "Love Song" and rivaling the coolly calculated creations of Katy Perry in catchiness and wonder. 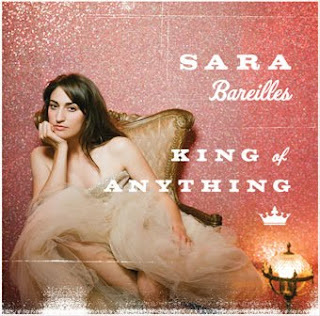 And since anyone can relate to the universal subject matter (not as deep a concept as that behind the cleverer "Love Song"), "King Of Anything" is an immensely likeable, enjoyable package that should launch Bareilles' second album to a comfortable start. If, this time around, she manages to pull out a second single from the bunch, she may become one of the few artists who not only avoids but thoroughly lambastes the traditional sophomore slump, which should in turn allow her to continue singing and writing for a good while longer - maybe even long enough to take her music somewhere off the comfortable, marketable path.